A reader named Marc recently left a comment asking how our high deductible health plan has worked out for us. Given that November is open enrollment season, this is a very timely question, so I thought I’d tackle it with a dedicated post. 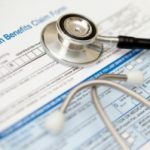 In short, we’ve been thrilled with the HDHP (and the associated HSA) offered through my employer – though it’s important to keep in mind that plan details vary widely, as do individual circumstances. In other words, it’s important to check the details for yourself, and to make your own decision. In our case, we have a $3000 family deductible vs. $900 if we stuck with the old PPO plan. In other words, we’re facing a possible difference of $2100 when it comes to meeting our deductible. The HDHP also has a higher annual “stop loss” ($6k vs. $2k) but, given the structure of the benefits (we pay just 10% of the usual and customary rate [UCR] once our deductible has been met) it would take some pretty extraordinary bills to be hurt by that. The balance of the plans is very similar, though the PPO does have a $20 per office visit copay, which doesn’t go toward the deductible, and actually works out to at least double our 10% of UCR payment with the HDHP, so that’s a point in favor of the HDHP. And speaking of points in favor of the HDHP… Our plan also gives us access to a health savings account (HSA). Not only that, by my employer has been incentivizing this plan by matching a portion of our contributions. Now for the big one… The premiums. Obviously, the HDHP has lower premiums due to the lower level of coverage. But what is it enough to make a difference? Yes, by a long shot. When we first signed up, we were saving $370/month by using the HDHP instead of the PPO. That’s $4440/year, which is far more than the difference in deductibles, and would actually cover a nice chunk of the stop loss difference if we were to need it. This year, the monthly difference is actually closer to $390, so we’re saving close to $4700/year in premium payments — all for taking on an extra $2100 in deductible, better terms (10% UCR instead of $20 office visit copay) once our deductible has been met. Plus, we get to stuff over $6k/year into an HSA (and don’t forget about that employer match! ), which is effectively an additional tax advantaged investment account. Oh, and don’t forget about those matching contributions. In short, in the two years we’ve had the HDHP, we saved thousands (and thousands!) of dollars over the old school PPO plan. And yes, we’ve hit our deductible in both years. In fact, we hit it within the first six months in both cases, but we’re still making out like bandits. Remember, we have four kids, so things add up quickly. Why? I’m guessing that consumer behavior changes under a pay-as-you-go model, with the high deductible making people less likely to seek medical treatment for minor, everyday maladies that might otherwise send them running to Urgent Care. This translates into lower healthcare costs, which equals cheaper insurance. Not surprisingly, I once again opted for the HDHP and am looking forward to stuffing another year’s worth of contributions into our HSA. Should You Use Your Employer’s HSA Custodian? Post #3: I don’t think that strategy is going to profit you Using HSA funds for medical expenses eliminates the taxes, including income and payroll taxes from that money prior to using it. This in effect cuts the cost of the medical care by a large amount. You get the tax savings right away and you never need to pay taxes on that money. If you leave the money in the account, you will eventually have to pay the income taxes on it when you withdraw it during retirement. Even if you pay no taxes on it at withdrawal, you still only break even versus using the funds right away. If you are maxing out both 401(k) and HSA contributions and you still wish to save more, a Roth IRA if eligible or a taxable investment account is a better place for your excess rather than using fully taxed funds for HSA eligible costs. I am on my first year in an HDHP/HSA plan. 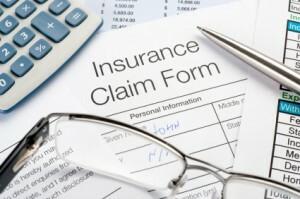 The premium is very similar to the previous PPO plan due to law changes which increase risk to the insurer. My company is self-insured. I’m hoping that the reduced coverage and some programs that encourage cost savings will keep the rates low or reduce them. I won a $100 gift card by shopping around for a prescription drug and submitting the information. They post the findings so that others may use my research to reduce their costs as well. For making a submission my name was entered in a drawing. With my company plan it isn’t so clear cut which option is better (high deductible or standard PPO). The PPO plan has separate deductible and “stop loss” per person in the family, both for prescription and medical. If you only have one person in your family with high medical costs…it maybe better to do the PPO. If multiple people may have high medical costs…then the HSA is better. I have had the HDHP / HSA plan for a few years. Our HDHP plan is pretty good and the monthly premium is actually $0. Its almost a no brainer for us and I think I come out paying less with the HDHP in any possible situation. I think that HDHP/HSA are a good step in general for insurance and should help reduce health care costs over all. 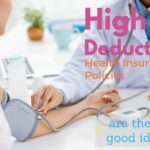 Giving people a larger deductible makes us more careful about our health care use and spending. My cynical side worries though that the employers are going to gradually shift us all over to HDHP plans by making them a little more appealing than the PPOs then in later years phase out the PPOs and then slowly jack up our HDHP deductibles. This could happen over the next 5-10 years. It may unfold similarly to how they gradually killed off pensions and we almost all ended up with 401k’s. This will be the third year I go with the HDHP+HSA — and my costs have only gotten higher and higher. Thad & Nate: don’t kid yourself that these plans will somehow make costs go down. I am paying many times more for insurance now, compared to 10 years ago, and I am getting 1/10th (TENTH) of the coverage. I see no reason why this trend will change any time soon. Anyhow, for year 2012 my HDHP requires that I have a $4,200 deductible (before ins. pays a penny — including medical & pharmaceuticals), then once I meet the deductible, I pay 30% of everything until I’ve paid out $12,100 out of pocket — at which point the insurance will cover 100%. It is what it is, and coupled with me maxing out the HSA, it is the best choice I’m offered. My company began to offer HDHP and a PPO as alternatives last year and I concur, it has definitely been a good move. I would not have been able to continue coverage on my family had they not offered the HDHP with HSA. Nate, I absolutely agree…until there is “skin in the game” for all patients the cost of health care will sky-rocket. Third party payers just seem to skew pricing inevitably higher. Helping patients become more knowledgeable about their healthcare choices is a major need. I agree the HDHP+HSA option is a good one, generally. If you have the cash flow, you can look at your HSA in almost the same way you look at your IRA: Simply as a tax-deferred savings vehicle. You can pay medical costs from your HSA, but why would you if you have the cash to pay these bills from funds outside of your HSA? The larger your HSA grows, the greater its capacity to generate tax-deferred earnings. By using HSA money to pay medical bills when you could use non-tax sheltered money instead, you reduce your ability to generate tax-deferred earnings. I’ve been telling anyone that will listen that the large-scale adoption of HSA’s are the best way to curtail health care costs. I have an individual plan, as I work for a start-up, but it also seems that more and more large companies will/are moving that way. And a lot around here are also starting to self-insure. Don’t see how any company wouldn’t save money if they paid the premium for an HDHP, and then offered a certain match into an HSA. The key though is making sure the inured has some skin in the game, as this will help healthcare to become a more consumer-driven model. Case in point – right now the majority of people have zero incentive to shop around and see if the non-emergency MRI at the hospital ($1,800) can be done cheaper at an imaging center ($800). Due to a quirk in my employer’s benefits structure, my HDHP actually has a higher premium than the PPO option. Even so, I concocted a formula to estimate my total out of pocket costs for the two options, for a given amount of medical expenses. Only for medical expenses between $4000 and $6500 were my out of pocket costs higher with the PPO. Above or below that the HDHP+HSA was cheaper. So that’s what I’ve been going with.